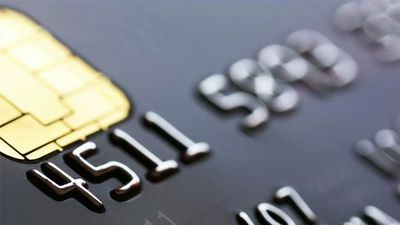 The Green Dot Platinum Visa secured credit card is a sensible choice for people who have exhausted their credit card search with no luck because of "Poor" credit. It isn't the most rewarding secured card, but it's easy to qualify for and allows people with "Poor" credit to build their score. The Green Dot Platinum Visa card is a reasonable choice for people, with a credit score of “Poor”, who have had trouble getting approved otherwise. This card is issued by Green Dot Bank, a consumer-friendly and technology-driven financial institution. If approved for the Green Dot Platinum Visa, you will be expected to make a deposit that will serve as your credit limit. Because Green Dot doesn’t offer an unsecured option to which consumers can upgrade when their score is healing, in order to get your deposit back, you have to close the account once you get a better offer from another issuer. That’s not great for consumers because, when you leave your account open, it's usually better for your score in the long run. That said, qualifying for the Green Dot Platinum is relatively easy. So, if you’ve been denied other similar options with more benefits, this card might be a good bet for you. Despite having many fees and no rewards, what this card does offer is a chance at building a good credit score once and for all. There are better options out there though, even for secured cards, so only apply for this one when you’ve exhausted all of those. Click the button below to go to Green Dot Bank's website. This content is not provided by Green Dot Bank. Any opinions, analyses, reviews or recommendations expressed on this page are those of the author's alone, and have not been reviewed, approved or otherwise endorsed by any card issuer.